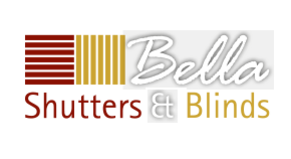 Our Shutter Styles at Bella Blinds PRIVACY, STYLING, LIGHT CONTROL AND FUNCTIONALITY Whether you decide to choose our Café style, Tier-on-tier, Full height or Tracked shutters, our made-to-measure solutions enable you to choose the right style for your individual requirements. Solid shutters have been used in the UK for more than 200 years and provide a more traditional finish to your window. Ideal for ground level windows and town houses, Café style leaves the top of the window un-shuttered, using only shutters for the bottom part. This style maximises light whilst providing privacy. A quintessential British window styling that until the introduction of internal plantation shutters was limited in the way it could be dressed. Plantation shutters have always been one of the most stylish ways to dress French doors and other doors with glass inserts. Even the most unusual window shutter shapes can be catered for within the our range. Covering the full height of the window, this is our most popular and flexible installation style.